Are you holding two remotes while watching TV? 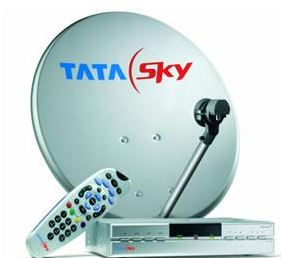 One to control the TV and other for your Tata Sky DTH set top box? There is no need to do this any more. You can use the Tata Sky universal remote to control both your TV and your Tata Sky set top box. Note: If you recently subscribed to Tata Sky, you already got a universal remote with it. But if you are an old customer of Tata Sky DTH service, you need to buy a new universal remote to follow this tutorial. At the time of writing this tutorial, the price of the the Tata Sky universal remote is around 500 INR (currency converter). To program your Tata Sky universal remote to work with your TV set, you first need to put the remote in learning mode. To do this, press Select button and the 2 button at the same time and hold them for some time until you see the LED light on your universal remote blink twice. Now the universal remote is in learning mode. Now take your universal remote and place it on a flat surface. Take your TV remote and place it in front of the universal remote such that their LED lights face each other exactly. The distance between the remotes should be 5cm. Now Press Vol- key on your universal remote. Then, press Vol- on your TV remote. The LED light on your Tata Sky Universal remote will blink twice. This means that the Vol- button on the Tata Sky Universal Remote is configured correctly. Once you have programmed the Tata Sky Universal Remote buttons to work with your TV, you need to press the Univ button whenever you want to use it with your TV. Just press Univ button and then the buttons you programmed will start working with your TV. Once you are done, press Univ button again to put the remote back to control the set top box. You can check the LED light on your Tata Sky DTH Universal Remote to know if its in TV mode or set top box mode. If the LED light is lit continuously, it means its in the TV mode. Otherwise its in set top box mode. Related: You can watch TV online or on your mobile, or watch star channels online.